This year, on July 27th, a perfectly timed eclipse will coincide with the Jewish holiday of love – Tu B’Av. This exciting evening will be centered on a magnificent celestial phenomenon – a once-in-two-decades total lunar eclipse. The upcoming total eclipse will be an especially long one and will last two hours! To celebrate this special event, we will hold The Moon in Love – an evening full of unique activities in Maktesh Ramon (Ramon Crater). 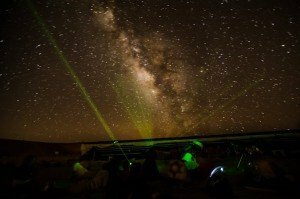 Makhtesh Ramon was recently declared a UNESCO International Dark Sky Park. The Mitzpe Ramon area is blessed with starry desert skies and pristine natural outdoors, offering the perfect nighttime environment for visitors to enjoy the Negev’s unique sights and crystal-clear views of the stars and nature. Our celebrations will focus on the lunar eclipse, with experience-packed activities designed for couples and families. 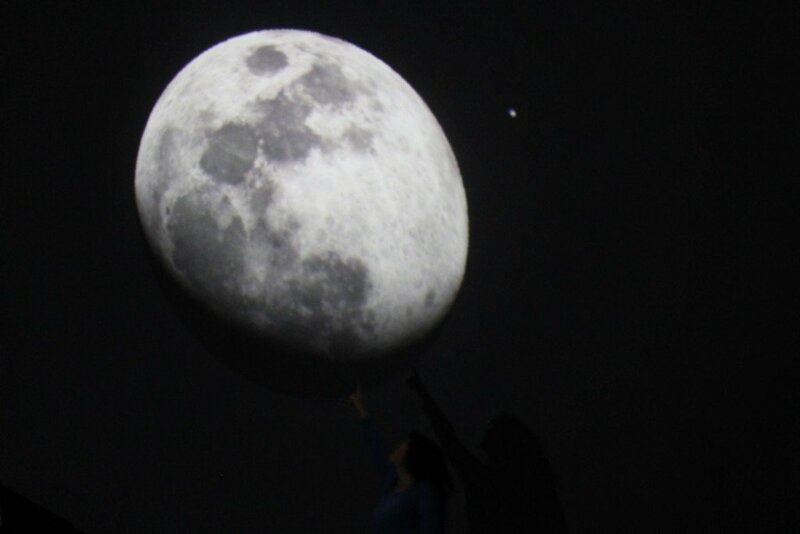 The Moon in Love is the brainchild of Nadav Silbert – outdoor and astronomy tour guide and owner and manager of the Bateva mobile star observatory and planetarium. Silbert, an avowed lover of nature and the stars, has been promoting Israel’s astronomy and stargazing culture for more than a decade. Why was Makhtesh Ramon declared a UNESCO Dark Sky Reserve? This international title bestowed by UNESCO recognizes those sites around the world where the night sky is maintained in its natural state, preserving the unique appearance of the starry night sky in all its glory. In addition to the unique geological, ecological and scientific phenomena that are preserved in Makhtesh Ramon, and its breathtaking desert landscapes, the area is also known for the extraordinary quality of its starry night sky and its pristine nighttime desert environment. 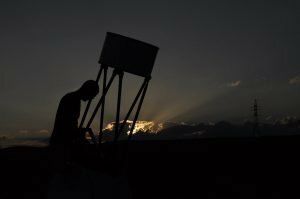 This is an outstanding place for stargazing – whether with the naked eye or by telescope – and for this reason the Tel Aviv University built its Wise Observatory on the crater’s cliff. So far, only 54 other nature reserves and parks have been awarded this title in 15 countries around the world, mainly in the United States and in Europe, with no other site declared anywhere in the Middle East. This achievement places Israel at the global vanguard in environmental thought and reduction of light pollution, an issue whose importance to the environment, man and the global economy was only recently recognized. The event will encompass 6 activity sites, which will operate from sunset to after midnight, with a choice of lodging and hospitality packages. Prices range from NIS 65 to 450, depending on the selected activity and package.